I was lucky enough to have the opportunity to try out a very different form of cycling recently, a stretch from my normal fair but if it’s got pedals right? 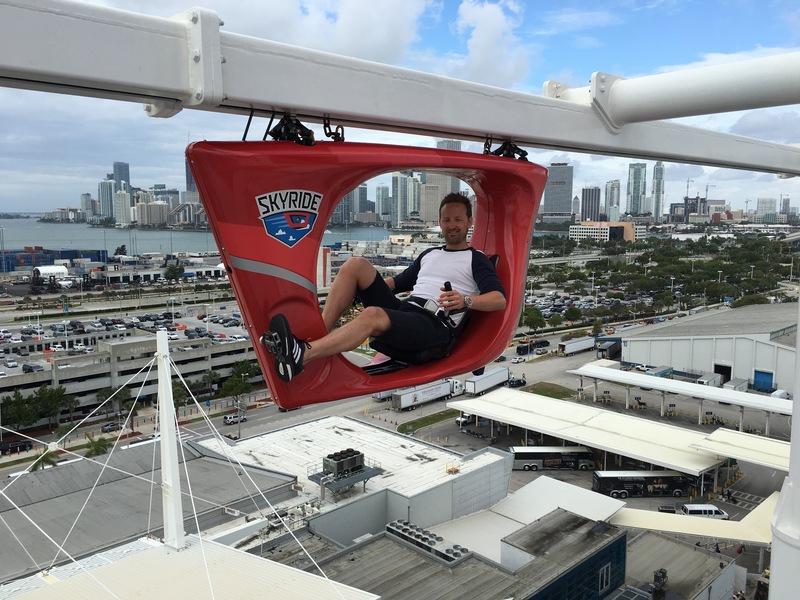 Whilst on holiday in Miami I rode Carnival Cruise Lines SkyRide, their mid air bicycle experience built on their ship Vista. I also chatted to the guys behind building and running this incredible onboard attraction. Ok so what is it? 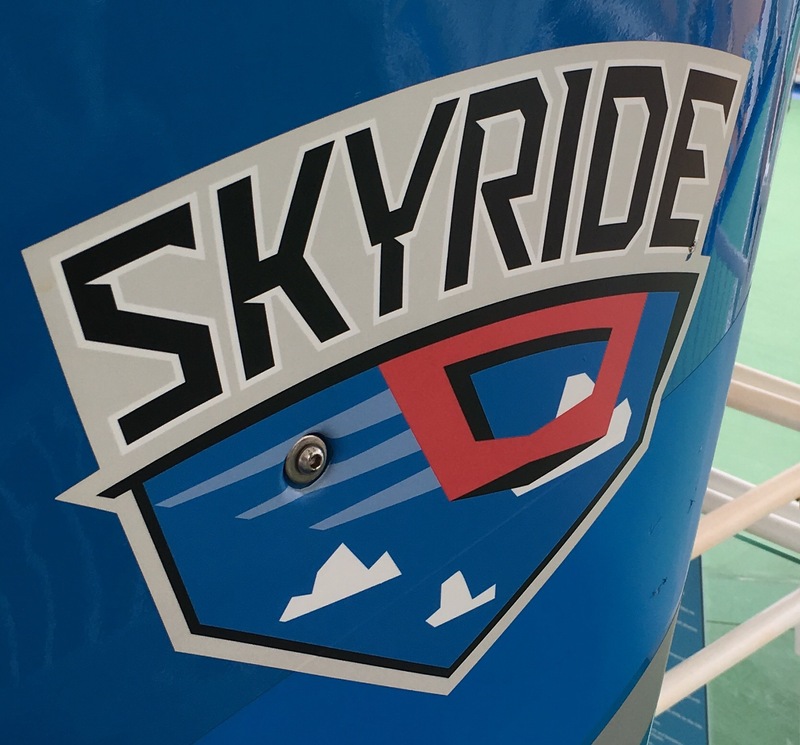 SkyRide is suspended cycling on a track. So imagine riding a recumbent that’s hanging from the ceiling. The bikes are singlespeed, belt drive, and run in a box section track around the ship. For the most of the ride you are about 150ft above deck, and when you are above the water it’s even further! Pretty scary for someone who isn’t a fan of heights. Anyway onto the ride! The track is relatively short but it is good fun for sure. Two people ride at once on the figure of eight shaped track so you end up passing under or over your co rider. When one track dips down under the other you can pick up a fair bit of speed, great fun, but that can be scrubbed off with the onboard brakes. On the other hand when the track points upward you have to pedal to get back! 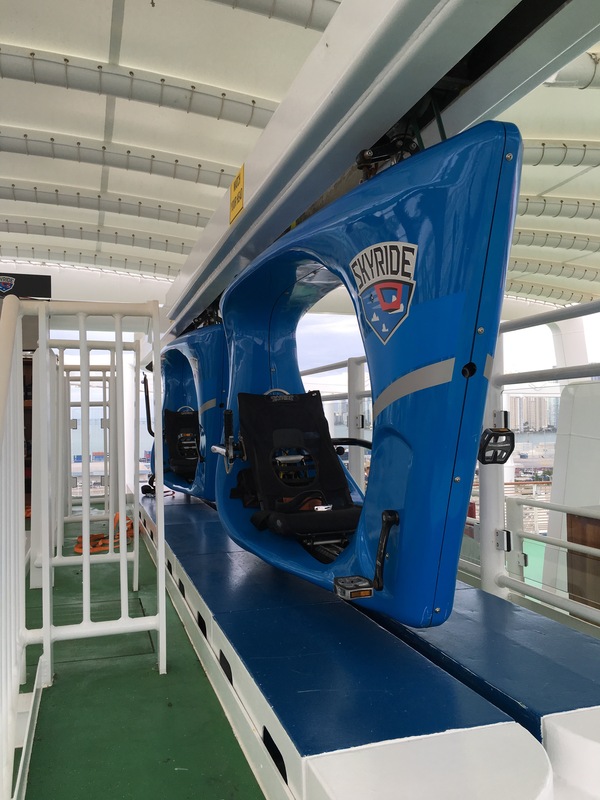 Despite being Vista being docked the views from the ship were phenomenal and I can only imagine how amazing riding SkyRide would be whilst sailing around the islands in the Caribbean. The idea and design were created by the same guy and team that invented roller blades and the process wasn’t trouble free. 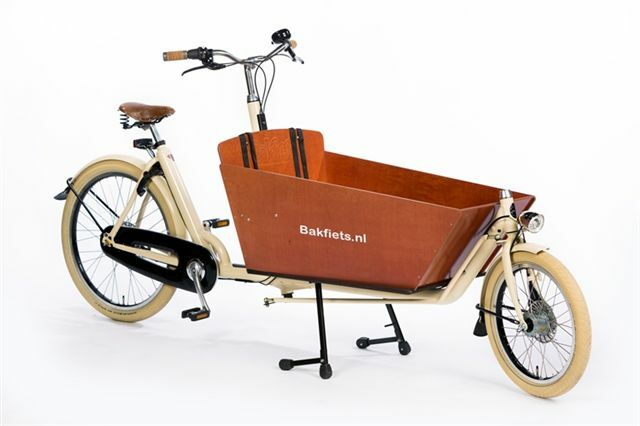 As you appreciate this is a ride that has to be super safe, user friendly, able to withstand tough conditions, and fit multiple different body shapes. Not something your normal bike will do. Initial land based trials were flawless but when translated to ship thing weren’t always perfect, with traction issues due to damp salty environment and accelerated corrosion. The team over came these issues pretty quickly and were ready for customers, producing a pretty cool mix of engineering and cycling. The footfall of this ride in full swing is huge, with queues all day long. 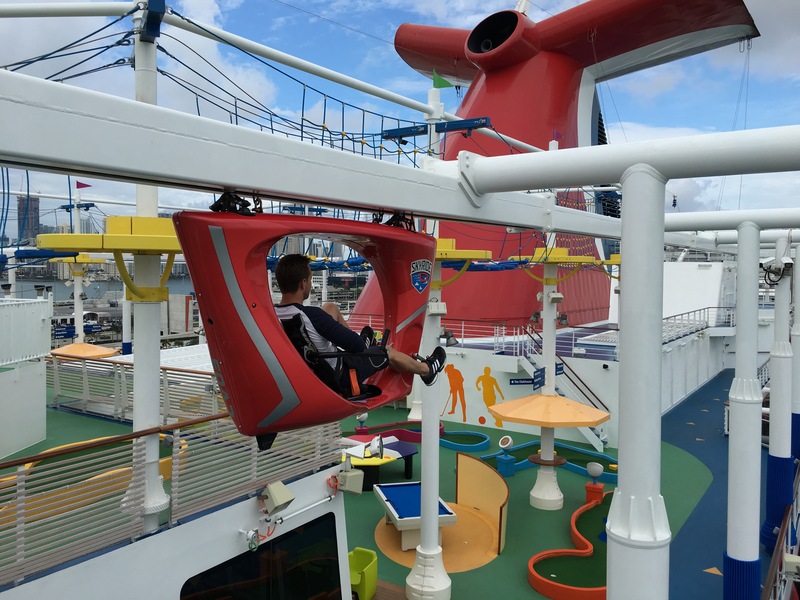 If you are lucky enough to get the chance to cruise the Caribbean then see if you can take your trip onboard the Carnival Vista. Not just for the SkyRide obviously! But from what I have seen of the whole fun deck and ship, it’s an incredible place to be! I reckon I’ll be adding cruises to my holiday shortlists from now on, especially if they continue to add such innovative ways of having fun! Previous Post: Pirelli rubber coming to a road bike near you? Next Post: Sven cycles cider ride!